It is almost certain that Hungary’s Prime Minister Viktor Orban will win a third consecutive term in the upcoming April 8 elections. What’s not certain is how this will impact his country’s relations with the European Union. Brussels is taking Budapest to court over legislation regulating non-governmental organisations and for refusing to host asylum seekers under an EU-wide quota scheme. The EU’s Anti-Fraud Office has also investigated EU-funded projects in the country. According to Euronews, there’s pressure to launch Article 7 of the EU treaty, which could see Hungary stripped of its voting rights. Speaking to Euronews, one Hungarian Socialist MEP said he fears his country will end up on the sidelines of the European Union. “Viktor Orban’s politics aims to get the EU to step aside. It is obvious that he does not dare to ask the voters about our EU membership, so that he leaves it in a two-speed Europe, where the majority of the member states overtake us,” said István Ujhelyi. Some from the Parliament’s European People’s Party (EPP) group, to which Orban’s party belongs, are urging caution. “Orban is more clever and less ideological than Kaczinsky therefore he avoided further steps in that question. But we have to be very cautious with such a country and keep an eye on it. That this does not go any further,” said Elmar Brok, a German Conservative MEP. 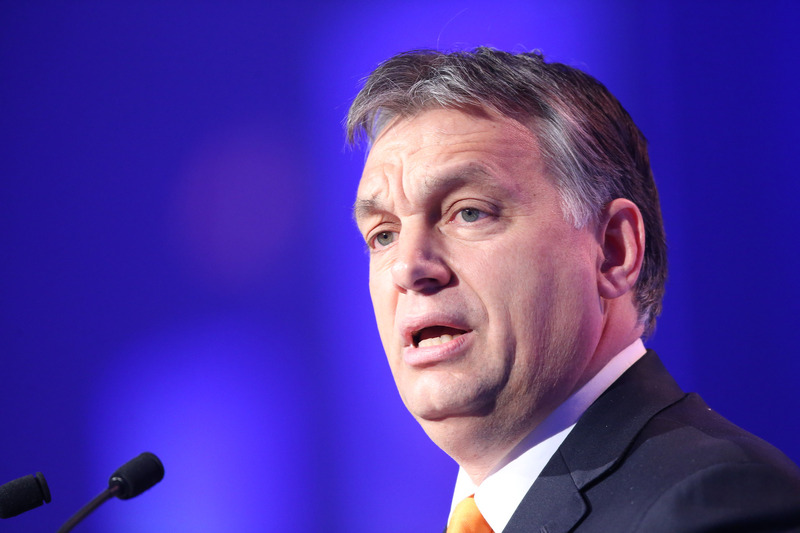 Despite the criticism, the EPP is backing Orban in the election. “Fidesz is doing a good job in Hungary, we have a good economic development there. And on the other hand, Viktor Orban was also contributing to stop the illegal migration through the Balkan route. So that was positively received,” said EPP’s newly elected president, Manfred Weber. Former UKIP leader and Brexit campaigner, Nigel Farage, is also rooting for Orban. “I think Viktor Orban is the strongest leader of any European country at this moment in time. He stands for nation state. He stands for as he sees it, the Judeo-Christian values of his country. He has got the courage to take on Soros. And people like that. Look, if I was Hungarian, I know exactly who I would vote for,” said Farage. In a similar vein, Italy’s far-right is backing Orban. “I think that from several points of view, the Hungarian government has done absolutely what was necessary for the interests of the Hungarian people, contrary to the other European governments,” said League leader Matteo Salvini. Speaking to Euronews, EU Commissioner Tibor Navracsiscs, who was Hungary’s justice minister between 2010 and 2014, stressed that his country is not in a “difficult or troublesome situation” despite the debates between Budapest and Brussels. However, the European Council of Foreign Relations (ECFR) has warned that an Orban victory will reinforce the Hungarian veto role in the EU. “Triggered by their opposition to the EU’s refugee policy but based on a much broader resentment of Brussels-based governance, Warsaw and Budapest have become champions of the sovereign counter-narrative to ‘more Europe’”, reported the ECFR. It also noted that while Hungary benefits massively from projects that Brussels has co-funded, its citizens are largely detached from the EU.